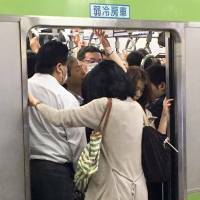 Riding packed commuter trains pressed against strangers may be one of the worst parts of living in Tokyo, made worse by groping and long delays from people who commit suicide by jumping onto the tracks. Tokyo Gov. Yuriko Koike has declared that the Tokyo Metropolitan Government will take on the congestion problem starting July 11 with a campaign that encourages employers to provide more flexible hours to ease the morning commuter rush. Even before she was elected governor last year, easing overcrowding was one of Koike’s policy priorities. In a suggestion that surprised the public, she once proposed running double-decker trains on regular commuter lines that would have doors on both levels and building two-story platforms to accommodate them. 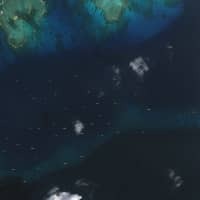 The idea, however, drew a lukewarm response. 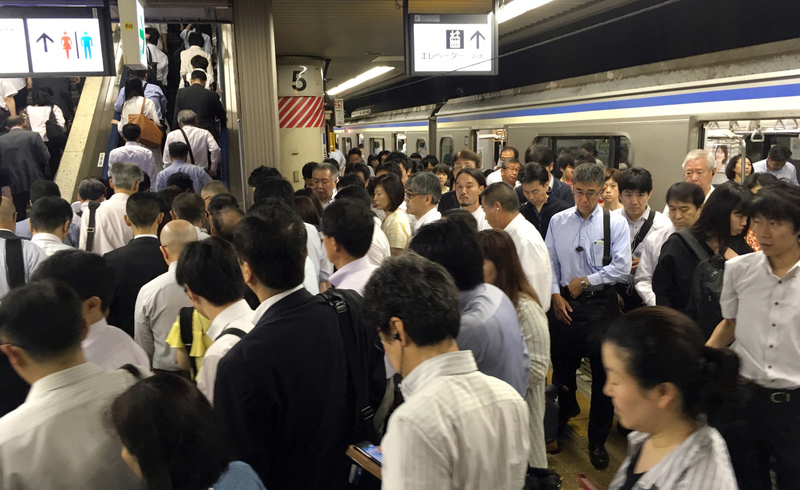 In the Jisa Biz campaign through July 25, the Tokyo Metropolitan Government will encourage firms to let employees arrive for work before 8 a.m. or after 9 a.m. and urge railways to offer incentives to support the effort. The metropolitan government decided to launch the campaign in the summer because the warm weather causes many people to wake up early, Tanizaki said, adding that the campaign has no set goals. About 200 firms including Microsoft Japan Co., Panasonic Corp. and Suntory Holdings Ltd., as well as railway operators including East Japan Railway Co. (JR East), Odakyu Electric Railway Co. and Tokyo Metro Co., are taking part. Nippon Telegraph and Telephone East Corp. said it is making a greater effort to encourage employees to start work earlier ahead of the campaign. Sompo Japan Nipponkoa Insurance Inc. hopes the campaign will act as the trigger for getting more of its workers on the flextime and telework systems it already offers. 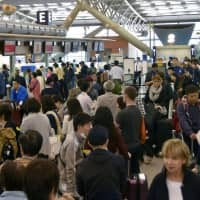 Because the days in July are usually longer than at any other time of year, it is a good time for businesspeople to try new working styles, Sompo Japan said. JR East, used by about 17 million people a day in the Tokyo and Tohoku areas, will start giving early commuters extra points on their Suica mobile payment cards in August. If riders spend over ¥200 at the New Days or Kiosk convenience stores between Chiba and Akihabara stations before 7 a.m. on more than 10 different days this month, they can join a lottery where 500 people will win ¥10,000 in Suica points, the railway said on its website. On July 11, Tokyu Corp. will start the Jisa Biz Liner, a special express train for early commuters bound for downtown Tokyo from Chuorinkan Station on the outskirts of the capital. The train will leave at 6:04 a.m. on eight weekdays through July 21. Tokyu will also use its app to offer special shopping vouchers to commuters who pass through Shibuya Station by 7:30 a.m. on weekdays from July 11 to Aug. 31. There is no need to disembark at the station. Railways have been trying measures to alleviate overcrowding for decades, including more train runs and track sharing, but a transport ministry official says the congestion won’t ease unless passengers stagger their commuting hours. Setting more flexible working hours “is the most accessible approach” to reducing congestion, said Hideyuki Yamaoka of the ministry’s Urban Railway Policy Division. 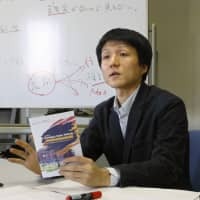 Naohisa Okamoto, a professor at the Urban Transportation Lab at the University of Tsukuba, said Jisa Biz may produce better results than past campaigns because it is a short-term deal that can encourage many businesses to take part easily. “If, for example, one in every five people decides to shift (commuting times), the congestion in trains could be resolved, even if just by a little bit. With about 200 firms involved, I expect it to have a positive result,” he said. The Jisa Biz campaign will only affect 10 weekdays this month, but Tanizaki of the Tokyo Metropolitan Government said it may launch similar campaigns from time to time during the lead-up to the 2020 Olympic and Paralympic Games. 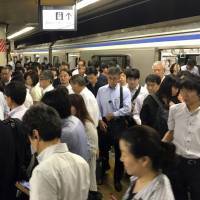 How crowded are Tokyo’s trains during the morning rush hour? The transport ministry has a list of congestion rates that explains what it’s like to ride those jam-packed trains. 100 percent — People still have enough personal space and are able to take a seat or stand while holding onto the straps or hand rails. 150 percent— It’s a little more crowded but still roomy enough to read a newspaper. At 180 percent, newspapers must be folded to read. 200 percent — At double the capacity, passengers are squashed against each other in each compartment but can somehow manage to read small magazines. 250 percent — Passengers are like sardines, unable to move and swaying to and fro at the mercy of the train. 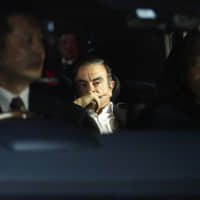 According to a transport ministry official, the average congestion rate for a Tokyo rush-hour train was 164 percent in fiscal 2015, down from 203 percent in fiscal 1990. But that’s still a lot higher than Osaka and Nagoya, which averaged 124 percent and 134 percent, respectively, in fiscal 2015. Here is a list of the five train and subway lines that had the worst congestion rates in the Tokyo metropolitan area as tallied by the ministry in fiscal 2015. 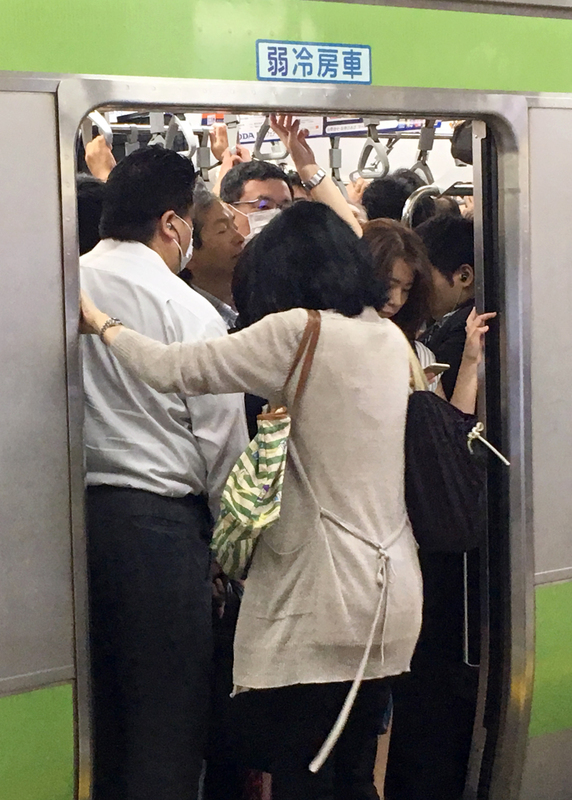 Tokyo Metro Co. Tozai Line, between Kiba and Monzen-Nakacho stations, from 7:50 to 8:50 a.m.: 199 percent. JR East Sobu Line, between Kinshicho and Ryogoku stations, from 7:34 to 8:34 a.m.: 199 percent. JR East Yokosuka Line, between Musashi Kosugi and Nishioi stations, from 7:26 to 8:26 a.m.: 193 percent. Odakyu Electric Railway Co.’s Odakyu Line, between Setagaya-Daita and Shimokitazawa stations, from 7:46 to 8:48 a.m.: 191 percent. JR Nambu Line, between Musashi-Nakahara and Musashi-Kosugi stations, from 7:30 to 8:30 a.m.: 190 percent.